Pearly Beads There are 3 products. 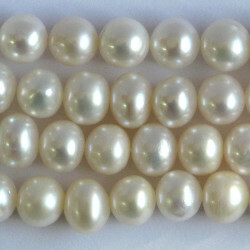 Freshwater Pearl, B Grade, Round Ovals, Ivory White, £5.95 per String, Approx. 16" (41 cm), Approx. 68 Pearls per String. 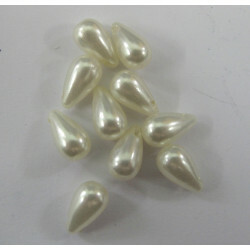 PD1010 - Plastic based pearly drop. Pack of 10. Size approx. 10 x 6 mm. 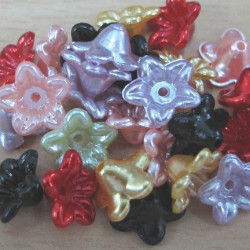 PB2620 - Mixed pearly flowers.Pack of 50﻿. Approx 10mm.